Since infant formula substitutes for human milk, its composition must match that of human milk as closely as possible. Quality control of infant formula is also essential to ensure product safety, as infants are particularly vulnerable food consumers. 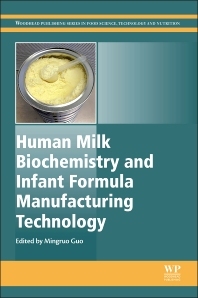 This book reviews the latest research into human milk biochemistry and best practice in infant formula processing technology and quality control.